EUR/USD - Buy the dip or Sell the rip? 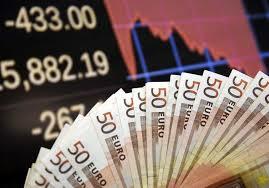 The EUR/USD pair dropped on Monday after a strong US ISM data pushed the treasury yields higher. The spot closed at 1.1363 levels. Monday’s weak close adds credence to Friday’s bearish hammer like pattern and signals the bull market has ended at least for the short-term. Along with the spike in the Treasury yields, what weighed on the EUR was also the bearish price RSI divergence on the 4-hour chart. The retreat from the last week’s high of 1.1446 looks more like a technical pullback. Last week’s rally was largely based on the speculation that the ECB might hike rates or begin QE taper earlier than expected. However, the ECB rate hike talk looks overdone. Moreover, the Fed is still the most hawkish central bank out there. Thus, strong dip demand is unlikely this week, unless Friday’s US wage growth numbers are horrible. The Fed is expected to raise rates by another 25 basis points this year. The speculation is on the rise that it would begin the balance sheet reduction in September. Treasury yield posted solid gains on Monday as well. The 2-year yield closed in on the highest level since 2008. Meanwhile, as said earlier, the ECB premature tightening talk looks overdone. Hence, upticks could be met with fresh offers, unless Friday’s US wage growth figures put a question mark on Fed’s plans to tighten policy at a faster pace. The data docket is light today with US closed on account of the Independence day holiday. One can expect lackluster trading amid thin volumes. The spot was flat lined in Asia around 1.1365 levels. A break below 1.1339 (support offered by the trend line sloping upwards from Apr 17 low and May 11 low) would expose 1.1284 (former resistance turned support). Only a daily close below the same would signal the pair has topped out. The next major support is seen at 1.1224 (4-hour 200-MA). On the higher side, break above 1.1387 (4-hour 10-MA) would open up upside towards 1.1446 (last week’s high). A daily close above the same would open doors for a sustained rally to 1.15.